Casual employees are a valuable asset for many businesses as they provide the flexibility to cover shifts when other staff are sick or on leave, mean that there is someone to cover otherwise unpopular shifts and allow the business to react to increased customer demand at short notice. It is estimated that over 25% of the Australian workforce are engaged on a casual basis, so it is clear that businesses are taking advantage of the benefits and flexibility of casual employees. Despite the widespread use of casual employees, many businesses and managers are operating on the basis of myths and untruths about casuals, their entitlements and protections. This is especially true when it comes to long term casuals, who have some different entitlements compared to other casual employees. I will bust these myths so that you get the most out of the benefits that are afforded by engaging casual employees and so that you can manage your casual workforce most effectively. It is common for businesses to operate under the assumption that casual employment is only for short term engagements and that they cannot engage the employee for years on end without being required to offer them full or part time employment. This is a myth that I am happy to bust. Whilst some casual engagements will only be for the short term to get the business through a busy time, over half of Australian casual employees have spent more than 12 months in their job and approximately 7% have worked in the same job for more than 10 years. There are great benefits offered by long term casuals, including that the business has a loyal and knowledgeable casual workforce to help out when needed and the business can save money as casuals are generally cheaper to hire and keep employed than permanent staff. Further, casual employment can also be an attractive option for many people who have children or who have other interests outside of work, including studying or other jobs, as it provides them with the time and flexibility to pursue these. Legislation also reflects the fact that many Australian businesses are opting to use long term casuals, with the Fair Work Act 2009 (Cth) defining the term to mean a person who is a casual and has been working on a regular and systematic basis for a period of at least 12 months. There is absolutely nothing wrong with engaging a casual on a long term basis, especially if the employee is happy with the arrangement. It also means that the business can offer them permanent work if the need arises, with the employee free to say no and continue working on a casual basis. However, it is advisable, where an employee has been offered permanent employment but has declined, that you send a short letter to them confirming this so as to avoid any disputes later down the track. In most circumstances, an employer and an employee can come to an agreement that a casual will transfer to permanent employment, however, under some modern awards (for example, the Hospitality Industry (General) Award), a long term casual employee has the right to elect to have their employment converted to full time or part time employment. The employer does have the right to refuse the request if there are reasonable grounds for doing so. One of the great benefits of casual employees is that they are not entitled to receive notice of their termination or payment where their position is made redundant. However, this does not necessarily mean that a casual who has been employed on a long term basis can be terminated at any time without the employer being required to follow steps and procedures that would ordinarily apply to permanent employees. This is a myth that can by quite costly for a business if it is relied upon. Long term casual employees who have been dismissed in circumstances which they claim are harsh, unjust or unreasonable may be entitled to make an unfair dismissal application to the Fair Work Commission. Provided that they can establish that they had been working for at least 12 months on a regular and systematic basis, their unfair dismissal application will be treated in the same way as one made by a permanent employee and the Commission will consider such things as whether there was a valid reason for their termination, whether the employee was given the opportunity to respond and whether they were notified of the reason for their termination. If an employer operates under the myth that they can terminate a long term casual employee’s employment anytime they wish, they could potentially be liable to pay compensation to the dismissed employee or reinstate them to their previous job. In McKinnon v Reserve Hotels Pty Ltd  FWC 5053, a casual employee was found to have been unfairly dismissed after his employer terminated his employment without providing him with an opportunity to respond to allegations made against him. 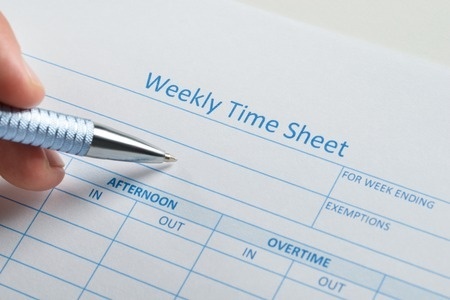 The employee worked, on average 25-30 hours per week and had done so for approximately a year and a half. The Commission found that the employee worked on a regular and systematic basis and ordered the employer to pay him $7,000 in compensation. Employers also make the mistake in thinking that because an employee is not entitled to redundancy pay, there is no requirement to follow the other procedural steps which would normally apply when making a person redundant. Whilst modern awards do not strictly require employers to consult with casual employees when their position is made redundant, it can be a good practice to do so as it keeps employees fully informed of the situation, ensures consistency between permanent and casual employees and goes a long way towards ensuring that employees do not leave their employment with bad faith towards the business, which can often lead to ill-conceived claims from employees which can be costly and time consuming. Another one of the cost saving benefits of engaging casual employees is that they have no entitlement to annual leave and personal leave. However, this does not mean that casual employees are not entitled to take any leave at all. Under the Fair Work Act 2009 (Cth), a casual employee is entitled to two days of unpaid carer’s leave and compassionate leave when a member of their immediate family becomes ill, injured or dies. There would also be little argument from most employers that the employee is able to take time off to travel or spend time with family due to the very nature of them being a casual employee. Long term casual employees are also entitled to unpaid parental leave in the same way as permanent employees, provided they had a reasonable expectation of continuing employment on a regular and systematic basis. This means that if a long term casual employee or their spouse gives birth to or adopts a child, they will be entitled to 12 months’ unpaid parental leave. They must also be returned to their pre-parental leave position. Further, in most states, casual employees are also entitled to long service leave provided they have the required continuous period of employment. In NSW for example, this means that a casual employee is entitled to 2 months’ paid leave (averaged out over 12 months or 5 years, whichever is the greater), after 10 years of service. It also means that if the employer terminates their casual employment after 5 years of service, they may have an entitlement to pro rata long service leave. Whilst long term casuals are provided with more protection than those working sporadic or irregular shifts, these entitlements are not prohibitive and should not restrict your usage of casual employees. Resisting the urge to rely on long held beliefs and assumptions about long term casual employees, which may prove to be myths, can offer great benefits to your business and means that you can adapt to change quickly and seamlessly and without the unnecessary costs.